In Hawaii Ohana means family and the Pualoa family is the perfect picture of a beautiful and loving family. Hank and Malia are the proud parents of two wonderful children. Their son, Kekoa, is only eighteen months old. Their daughter, Leilani, is four years old. They have just enjoyed a family day picnicking in Kakaako Waterfront Park. The only dark spot on the day is that Hank has had too much too drink. Although Hank did not know it at the time, this picnic would be the very last time the family would enjoy a happy day. An accident occurs on the way home and Malia is killed. The court sentenced Hank to serve six months in prison. The children are left in the care of Malia’s mother Tutu Eme Waiwaiole. Eme loves her grandchildren but Malia was her only child and in her mind, Hank murdered her daughter. Her bitterness is passed along to the children. Hank is released from prison but feels his children would be better off without him so he does not attempt to contact his family but just disappears. Hank’s brother, Big John, has watched over the family until he fights with his greedy partner in the construction business, Red Murphy. Red has been stealing from the company and Big John has just discovered the loss. When Big John confronts Red, Red murders Big John. Kekoa had been playing in the shed and is a witness to the murder. Red realizes he has been seen but Kekoa runs away. Kekoa is afraid to go to the police and afraid to stay at home where Red can find him. Kekoa is only twelve but is so fearful he runs away from home and roams the streets. He is able to find a little work here and there and survives with the help of a few people he meets but all the time he yearns to see his sister and his grandmother. Leilani and her grandmother try to find Kekoa but the police are unable to help. To make matters worse Big John has disappeared too and they are unaware that he has been murdered. Red Murphy is not about to let an eye-witness to murder get away so he is constantly trying to find Kekoa and do away with him. Murder is just one of Red’s crimes. This is an action packed story that will keep the readers guessing whether there will ever be a happy ending. 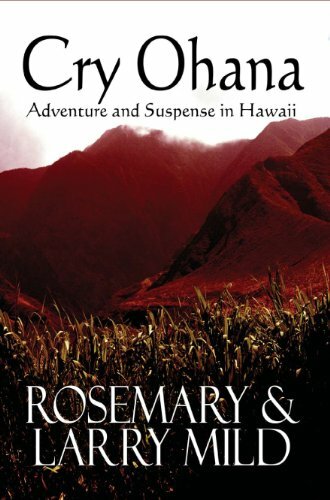 The setting is beautiful and tells a story of Hawaii’s customs and scenery that add a lot to the story.